"While Expeditions: Viking won't be winning any awards for ground-breaking storytelling or innovative gameplay, it's compelling in just the right way that keeps commanding attention throughout. I found it to be a lot of fun, if a little unpolished in places." "Layered with enough depth and intricacy for genre veterans, but loaded with fantastic tutorials and information for newcomers, this game welcomes all types of players. A formula that has been bettered, through and through, Expeditions: Viking is an absolute joy." 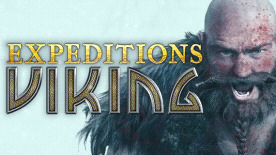 "Expeditions: Viking finds an excellent balance between historical realism and RPG mechanics."